Paper based forms tended to get in the way when Assessors were participating in adventure based activities along with the Students. A duplication of work was being experienced as Assessors generally had to transfer their handwritten notes to a second system on returning to their offices. Administration was delayed due to field Assessors not being motivated to complete administration once back at the office. Forms and checklists could be filled in in the field. The devices are small, so easily carried. Assessors already carried their own mobile phones, so in most cases these were also used to fill in the forms. 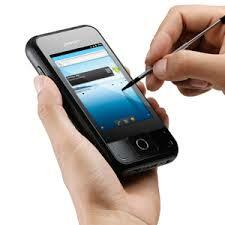 Signatures can be obtained directly onto the handheld device. No duplication of administration as the electronic form automatically generated a secure PDF of the report including: Report, Notes, Signatures, Geolocation info and even photos taken during assessments. The completed report could be electronically submitted form the field, so there was no need for further administration by the Assessor on returning to the office.